There's a classic German beverage called Radler (short for Radlermass) that is a 50/50 mix of beer and lemon soda intended for cyclists (a Radler being a cyclist). Very light and refreshing, and just what a cyclist needs after a ride. Or during. Maybe even before, or instead. 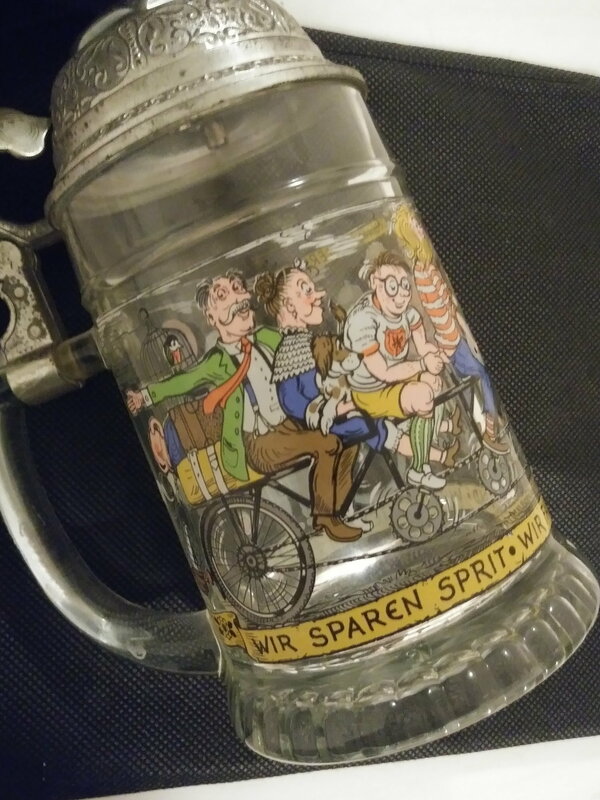 I suspect this stein was intended for imbibing a Radler or two. 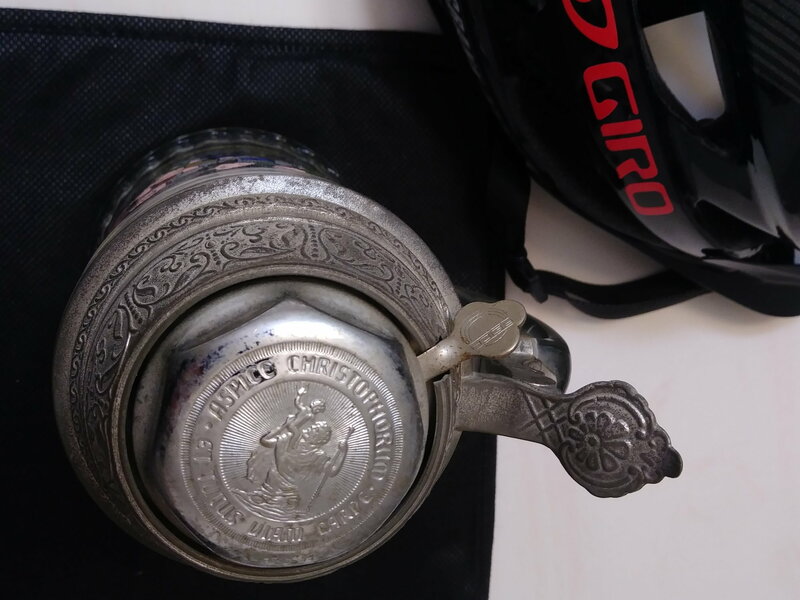 This is an odd character beer stein made in 'Western' Germany with a genuine Reich bell built into the lid. Has a nice tone as it resonates in the glass. Translates - we save fuel, we ride bike, we stay fit. Prost! Last edited by thumpism; 03-13-19 at 09:38 PM.